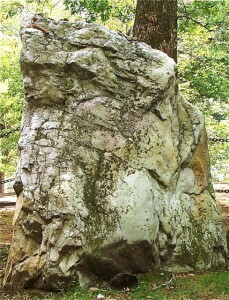 This quartz boulder marking the grave of Ralph Waldo Emerson in Concord’s Sleepy Hollow Cemetery is part of the stone domain. It is an unmodified (Type) standing stone (Family), which is a Notable Stone (Class). The Stone Domain is the “universe” of culturally relevant stone objects at and above the scale of an individual boulder, and at and above the ground surface. It includes all groupings of stones, most commonly stone walls and stone piles. It also includes individual stones set apart from others in some way, making them notable for their size, shape, or position. 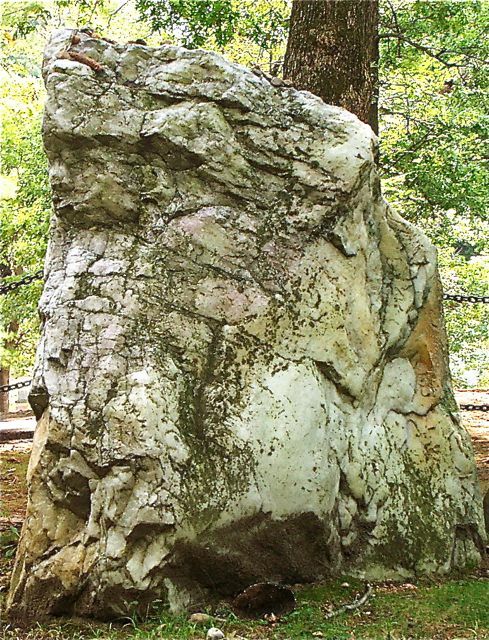 The most common of these are glacial erratics, most of which have been “adopted” as part of the cultural landscape, for example “Samson’s Rock,” located in Madison, CT. The stone domain excludes undifferentiated stones within the soil, even if they are culturally relevant or modified in some way. It also excludes ledges and bedrock outcrops. Mount Rushmore, for example is excluded because it is part of rock outcrop, as would an abandoned quarry. The stone domain consists of four classes. 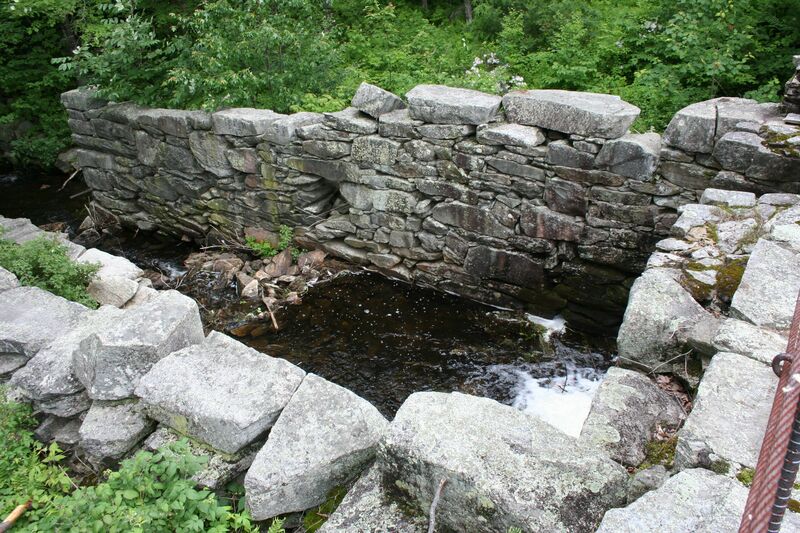 Raceway and slot for a mill dam in western MA. When combined, these segments of stone walls link into the architecture of place. Behind is a panel (Subtype) single (Type) Freestanding (Family) stone wall (Class).